National Business Group on Health (NBGH) Workforce Strategy 2018 is the nation’s premier event for health, productivity and well-being. Attend the conference to learn top-tier solutions and best practices on how to build an employee experience for optimal physical, mental and financial health from the nation’s leading employers, health care providers and public policy experts. 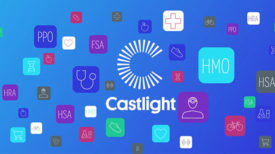 Visit Castlight Health at booth #T-8 or schedule a meeting with us.